Same here, the best one I have is 87% with 15 attack, if I ever want to invest on this one, I need to use both fast and charge TM to adjust both moves. Yes, but I still didn’t get a good one at all. 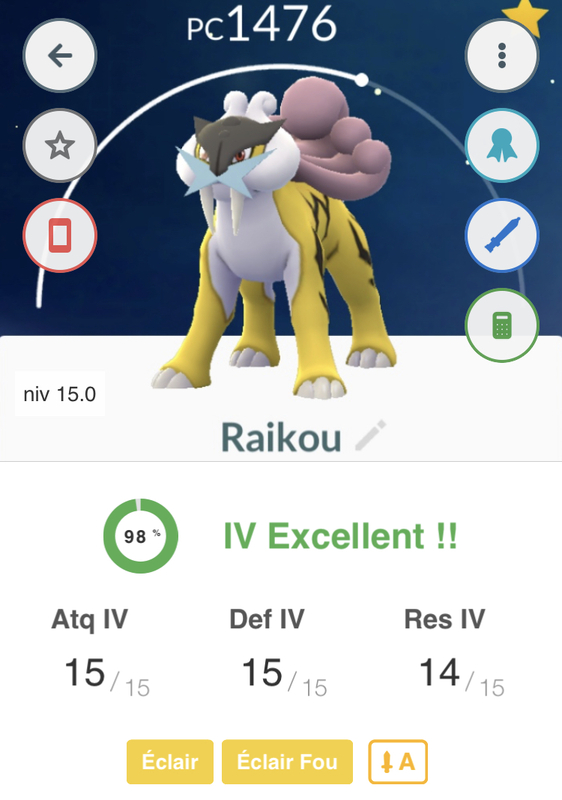 I haven’t encountered a Raikou in January, February and any of this month. A 1 in 8 chance is pretty small, and add on a great IV stat in that mix? It’s very unlikely. Great moveset on that Raikou there – I loves me a good eclair, especially if has quality creme filling and isn’t simply drowned with chocolate. Haha. Well yes, éclair means lightening. I have no idea why the pastry is called that. I wasn’t laughing at the french version, @Necrozmadabest. Just amazed to see the moveset translations (and really fond of the pastry in question). Thanks guys, now I’m really hungry. 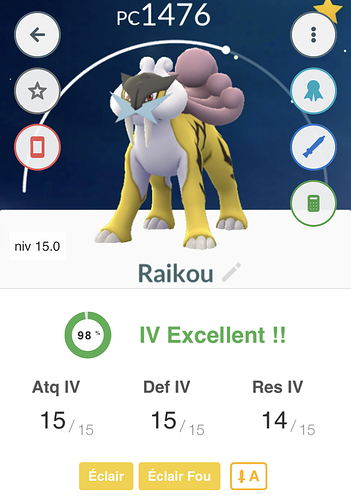 Finally got my favorite Raikou yesterday So pleased with him. I finally got my regi trio complete. All I’ve got from Research Breakthrough in March and April is Lugia and Raikou😞 And the IV’s aren’t making me happy either. I’m okay with any Legendary extra candy. You get 6 each box. Why would anyone complain about this? Because the beasts should have gone and de birds should have stayed. If I’m being honest they should both have gone. At the other side, the Birds can be Shiny. The Beasts can’t.